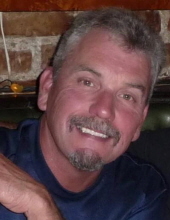 Benny Joe Perry, 64, of Webb City, MO passed away at his home on Tuesday, January 22, 2019. He was born on March 28, 1954 to Gene and Rosalie (Cochran) Perry.Benny is survived by his mother, Rosalie; two brothers, Dan (Sherri) Perry and Tom (Jeanne) Perry; five children, Philip (Jessica) Alberty of Carthage, MO; Paul (Christy) Alberty of Olathe, KS; Kameron Perry (William Dowling) of Jacksonville, FL; Katy (Andy) Myers of Joplin, MO; Kristi (Kenny) Masters of Russellville, AR. ; twelve grandchildren and 1 great-grandchild. Additionally, he is survived by his former spouses, Alice Perry of Joplin, MO and Debbie Collins of Florida.Benny is preceded in death by his father, Gene Perry; and his son, Brandon Cory Perry.Benny grew up in Carterville, MO and graduated as a Webb City Cardinal in 1972; his Cardinal Pride ran deep. He touched the lives of many in the community, from his early days as the R.A. leader, to officiating at local sporting events, providing karaoke services, and performing with his band at a variety of local establishments. He had a passion for family, sports, the Kansas City Chiefs, cross-word puzzles and impersonating Jimmy Stewart. His ‘buoyancy’ was present throughout his life.Benny spent 18 years of his life working at Roadway. He wanted to live high on life, so with the partnership of his late best friend, Gerald Carnes, together they formed a trophy shop. With the partnership of his brother, Hank Rotten, that trophy shop became the Rotten Bros. Trophy Company. Benny’s entrepreneur adventure didn’t stop there. His love for music and laughter led him to start Ben Rotten Karaoke. He would likely tell you that the ‘schematics’ of his business plans kept him ‘busier than a three-legged mule’. This ‘Desperado’ spent his final days preparing for his retirement to Florida, where he envisioned spending his time walking with his beloved dog, Buffy, on the beach.A Celebration of Benny’s life will be held on February 2, 2019 at the Webb City Elks Lodge from 2 p.m. – 6 p.m. Cremation arrangements are under the direction of Simpson Funeral Home in Webb City. Visit www.simpsonfh.com for online condolences. To send flowers or a remembrance gift to the family of Benny Joe Perry, please visit our Tribute Store. "Email Address" would like to share the life celebration of Benny Joe Perry. Click on the "link" to go to share a favorite memory or leave a condolence message for the family.